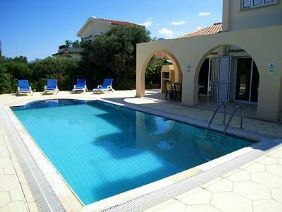 Villa Sunny offers free wireless internet access. 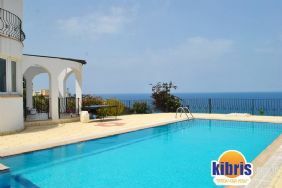 This newly completed, fully air-conditioned villa sits above the stunning North Cyprus coastline and at the base of the Kyrenia mountain range which provides cooling forests and crusader castles. Ideally situated for relaxing, touring, shopping, swimming or golf. 20 minute drive to Kyrenia, steeped in history, you can eat and drink in it's famous harbour next to the Ottoman castle, worth a visit, both by day and by night. 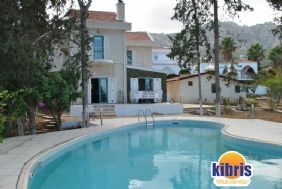 We know you'll be happy in this spacious, secluded villa with views of the Mediterranean and close to the Kyrenia mountains yet within walking distance of the village and sea and Close to beaches, championship golf resort, turtle reservation, marina, Kyrenia town, Bellapais Abbey, St Hilarion Castle and great walks. 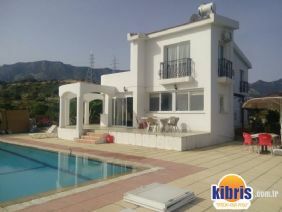 It's an easy drive to airports, Nicosia and the Karpass Peninsula. There is something to suit all tastes and all ages from relaxation to sporting activities to cultural and historical exploration to inexpensive wining and dining, all in the friendliest of settings All rooms have split air conditioning units, for cooling in the summer and heating in the winter.